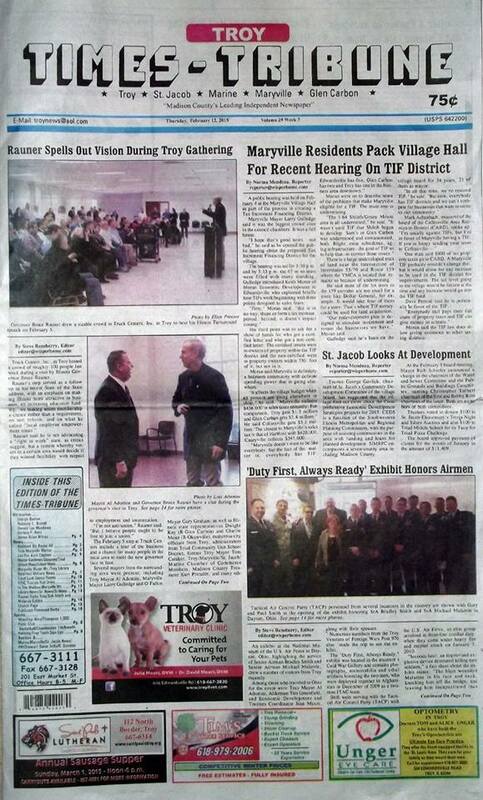 The February 12, 2015 issue of the Troy Times-Tribune is now available. Some of the stories in this issue: Maryville Residents Pack Village Hall for TIF Hearing, Rauner Spells Out Vision During Troy Gathering, St. Jacob Looks at Development, Exhibit Honors Airmen, Marine Swears in Part-Time Officer, Official Candidate List Released for April 6 Election, Master Gardeners Kick Off Discovery Sunday Series, Phone Company Cites in Delay of Staunton Road Project, Weather a Factor in Fatal Accident, Water Cut-Off Threat Raises Ire, Troy Library Orders Benches, Wrestling Knights Win Waterloo Class 2A Regional; plus we have police blotters, historic news from the past, an editor's column about governors and the weather, and and lots more! 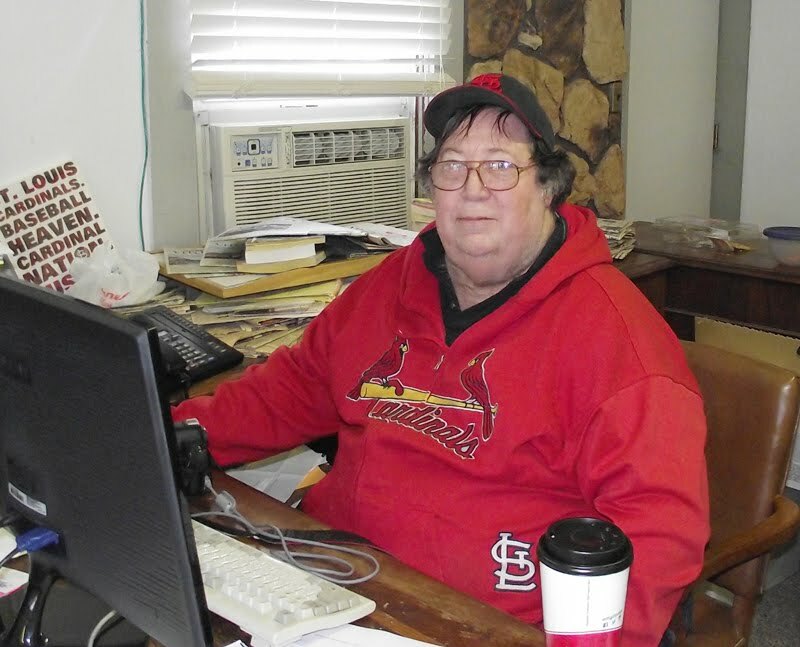 We have obituaries for George Boston, Rebecca L. Brandt, Donald Lee Meadows, Darlene P. Ross, and James Brian Wilcox.